Being on set with a particular person for a period of time could build friendship, and acting together as a couple can attract real life intimacy. It is normal and even expected for an actor to develop natural feelings for a colleague that is supposedly his wife or girlfriend in a movie. Some of your favorite celebrities are victims of this circumstance as they got together with people they coupled with on TV. Some of the relationships grew to marriage and later divorce, some of the relationship broke up after a couple of years, while some others are still flaming up till date. Take a quick look at these movie stars and the movie that led to a hook up with their TV spouse. Nina and Ian acted together on “The Vampire Diaries” from 2009 – present. They hooked up along the line in 2010 and dated for three years before moving on with their separate lives. Mila and her husband Ashton Kutcher were a scripted couple on “That 70’s Show”. The two played Jackie Burkhart and Michael Kelso from 1998-2006 and in 2012 struck a relationship. After two years of dating, Ashton was convinced and put a ring on it. The couple had a lovely daughter together in 2014 and after Mila got her beautiful body back, they both decided to tie the knot in July 2015 at a secret wedding where close friends and family witnessed the solemnization. The “Game of Thrones” lovers, Jon Snow and Ygritte, started acting together from 2012 to 2014. They dated briefly from 2012 to 2013. Will and Army co-starred in the movie “Arrested Development.” They acted together from 2004 to 2005. They started dated in 2000 and finally got married three years after. The couple had two children together and in 2012, fans of the lovely couple were shocked with the news of their separation. The love affair of Adam and Rachel lasted for three years, from 2003 to 2006. They acted together on “The O.C.” from 2003 to 2007. Fans of SOS “Gossip Girl” must have seen the steaming love between this two and it wasn’t a surprise when they started going out together. They were on set from 2007 to 2012 and dated from 2007 to 2010. Kat and Nick were sighted on “2 Broke Girls.” They dated for just a year in 2011, the same year they started acting together. For Anna and Stephen, their love knows no bond. This two are co-stars on “True Blood.” They have been on the series since 2009 till date. They meet two years before they started acting together and eventually got married in 2010. The couple are happy together and have a set of fraternal twins to crown their blessings. Alexis and Milo had a four year intense and enviable relationship everyone taught had a future. They were a couple in the movie “Gilmore Girls,” from 2001 to 2006 while their relationship started from 2002-2006. Keri and Matthew are co-stars on the famous TV series “The Americans”. They started dating in 2014, one year after being on same set together. 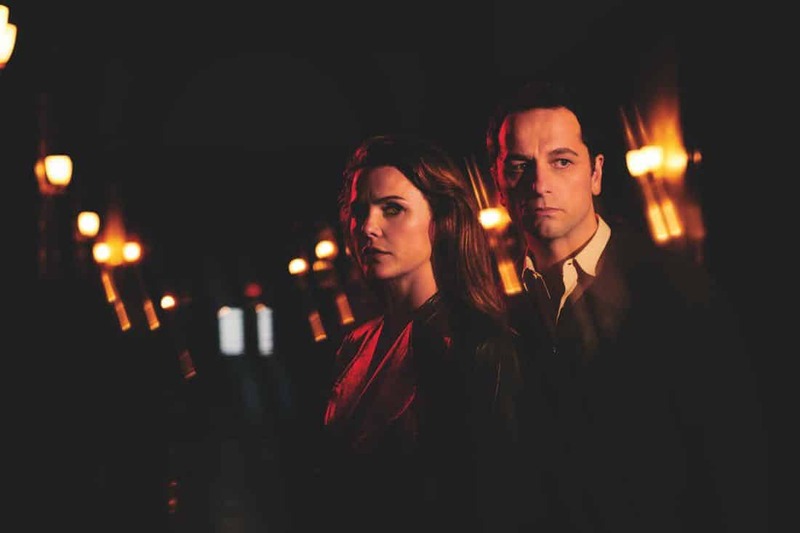 Their relationship seems cool and may last as long as they keep bonding in “The Americans.” Meanwhile, Matthew Rhys is not the first movie spouse Keri Russell has had a real life relationship with. She once dated Scott Speedman who was her spouse on “Felicity” between 2001 and 2002. Linda and Jason acted together on “Freaks and Geeks” from 1999-2000 and dated from 2001 to 2007. From the onset, viewers of the movie series “Alias” could see the attraction building up between Michael Vaughn (Michael Vartan) and Sydney Bristow (Jennifer Garner). They both decided to bring into reality their scripted love although the relationship didn’t last up to 18 months. Both of them had had a hard time staying married after then they broke up in 2004. Micheal got married to Lauren Skaar in 2011, and divorced her 3 years after. Jennifer recently divorced her husband, Ben Affleck, after years together. Jerry and Jamie, co-stars on “Entourage,” acted together in 2008 and 2009 and their real live relationship lasted between same duration as their TV relationship. in 2012, they both acted in “Mad Men.” They dated in same year and got married in 2014. They are happy together and are married till date. Sebastian and Meester acted together on “Gossip Girl” from 2007 to 2010 and dated from 2008 to 2010. Lucas and Brooke of the famous American TV series “One Tree Hill,” dated for three years (2003-2006), and acted together from 2003 to 2012. For Blake and Melissa it all started on the set of the popular high school movie “Glee.” They started acting together in 2012, dated from 2012 to 2013, got engaged in 2013 and wedded in July 2015. Mark Consuelo and Kelly Rippa have been married for 19 years now. They were co-stars on “All My Children” and were on that set together from 1995-2010, although Kelly Rippa was already on the show since 1990. The couples are obviously happy together and have three cute children Michael 17, Lola 13, and Joaquin 12.